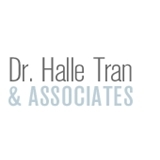 Dr. Halle Tran & Associates (Plano) - Book Appointment Online! We provide full scope optometry by utilizing the latest technological advances in eyecare. Optomap retinal imaging, visual field testing, and electronic medical records allow us to provide examinations in an efficient manner. We may also be able to determine whether you have medical and/or vision coverage to minimize your out-of-pocket expense. We currently accept most insurance plans and are competitively priced for those who do not have coverage. Great front office administrator, Cassandra. Dr. Tran was the best, so welcoming and personable eye exam.